Landing pages can accomplish many things for your business. If used well, a quality landing page can increase your conversions significantly. However, optimizing it for maximum effect can be challenging, especially since you only have one page to work with. The key to a strong landing page is to keep it focused, specific, and ultimately exciting. You can use it as a compressed conversion funnel, where you take your users down a carefully-crafted path. If you include the right information at the right moments, you can win leads over with a powerful Call to Action (CTA) at the end. In this guide, we’ll look at why you should care about landing pages in the first place, and explain the basics of landing page design. 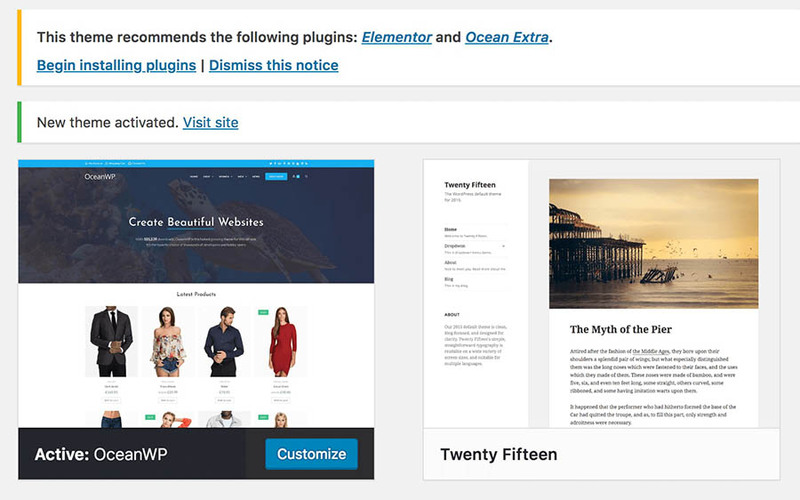 Finally, we’ll show you one way you can create a landing page in WordPress, using the free OceanWP theme. Let’s jump right in! When it comes to marketing, sometimes less really is more. Nothing proves this aphorism quite like landing pages. A landing page is essentially a one-page website, created specifically to achieve a single goal. By building a strong landing page, you can generate a sharp growth in your number of leads and increase your conversions at the same time. You can think of a landing page like a conversion funnel that’s been compressed into a single page. Through this page alone, you’ll take the user on a mostly linear journey towards completing a particular action. 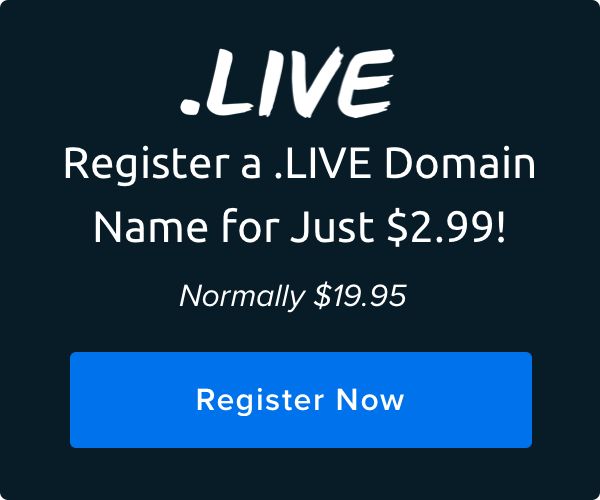 The page can be used to sell a specific product or service, encourage sign-ups to an email campaign, or extend whatever advertisement initially led users to your site. For example, a click-through landing page is typically focused on a product or service, where the intention is to make a sale. However, landing pages can also be lead-generating, meant to gather a user’s personal information. In those cases, the action you’re leading the user towards is usually as simple as filling out a contact form. What matters is that every landing page should have an explicit goal. Regardless of the purpose, all landing pages should also contain a certain few basic elements. 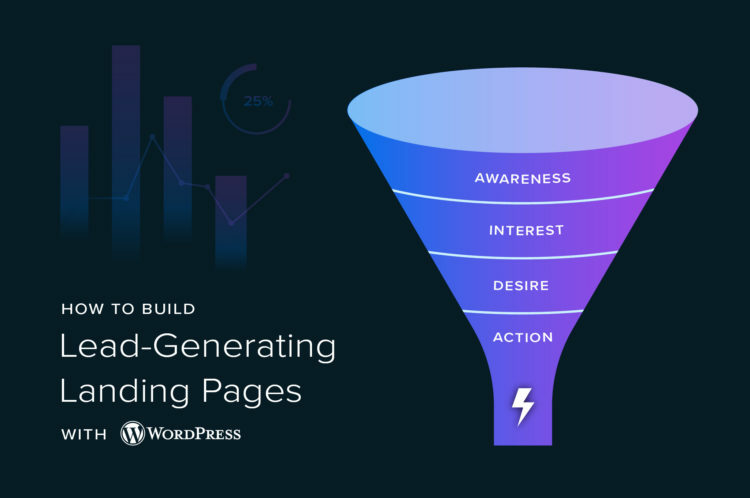 It helps to approach building a landing page with a specific mindset, so you can create a focused, effective narrative that will persuade your readers. Now, let’s look at what you should consider when designing your page. The ideal structure and content of a landing page depend on its purpose. For example, a page intended to sell a product will be focused entirely on that product. 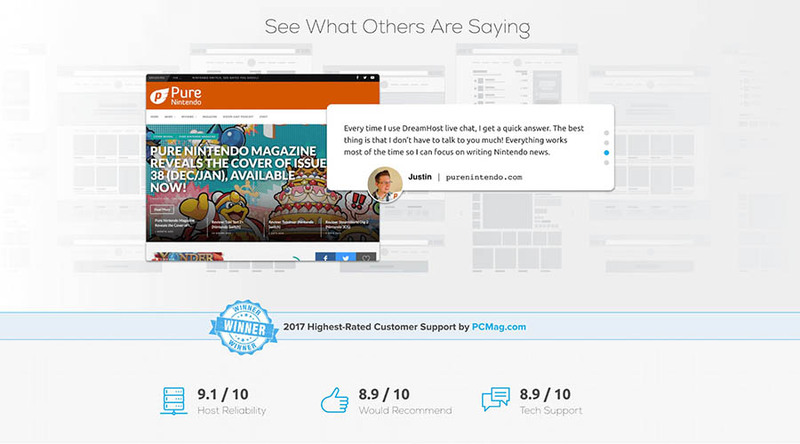 It will probably include images, a description of the product’s key features, and reviews. Most importantly, it will feature an action for the user to complete, which in this case is making a purchase. Lead-generating landing pages contain the same basic elements. Your goal is for the page to create leads, but the fundamentals work the same as if you were selling a product. That means you need to provide all the information visitors need to make a decision. A clear purpose. As we’ve mentioned, the goal of your landing page should be very focused. Everything you add to the page should work towards that goal. If you’re trying to generate leads, the entire page should be devoted to information that will make the user prepared to contact you. Avoid any filler and digressions that don’t work towards that purpose. Highlighted customer benefits. The benefits to the user must be made clear. A visitor should be able to get all information they need from the landing page, so they don’t have to look elsewhere on your site to understand something. This includes basic information, as well as testimonials and product reviews. A logical narrative and structure. Consider the order in which you present content from the top of the page to the bottom. You should treat the landing page as a journey you’re taking the user on. Be sure the narrative of the page makes sense, and that each part follows logically from the last. Of course, the journey your landing page takes users on should always culminate in a strong Call To Action (CTA). The CTA is the goal the entire landing page is working towards. By the time they’ve reached your CTA, a visitor should have all the information they require and be ready to make a decision. There are plenty of WordPress plugins that support landing page functionality. For example, you can use the free version of Beaver Builder to create a customized landing page. 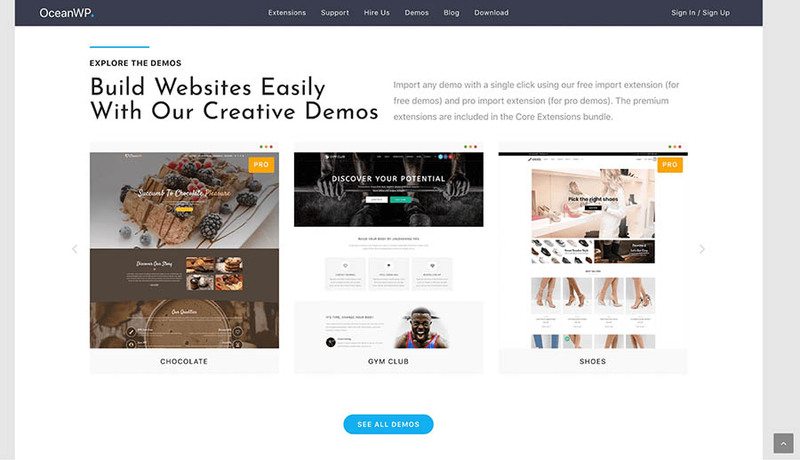 The Elementor page builder also enables you to create landing pages, and includes various templates to get you started. You’ll also need to choose a WordPress theme. You can use many standard themes to construct a landing page. However, we recommend that you look for themes created specifically with landing pages in mind. This will make it a lot easier when it comes to building the page. With that in mind, let’s move on to more practical matters, and walk through one method of building a landing page in WordPress. You should now have an idea of what your landing page will look like, and what you want it to contain. Now, we’ll look at what the process of building a landing page actually involves. As we mentioned, there are plenty of tools out there that can help. For this example, we’ve chosen to work with OceanWP. 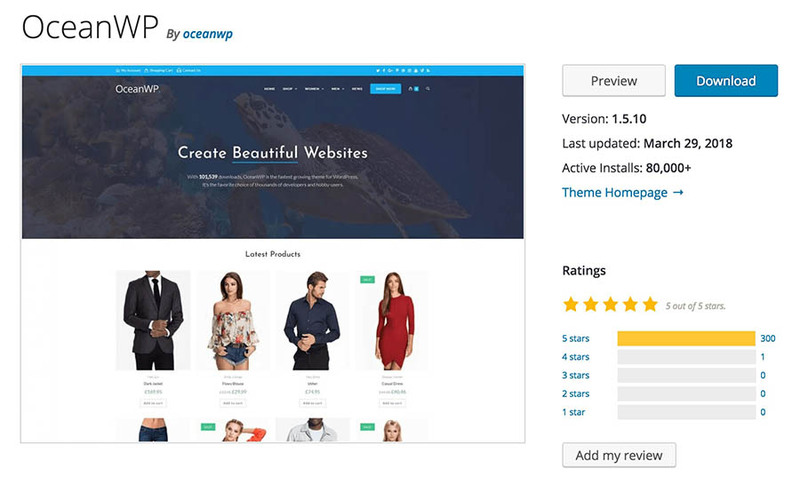 OceanWP is a free, versatile WordPress theme that contains multiple templates for creating landing pages. It can also be integrated with both Elementor and Beaver Builder, if you’d prefer to use a landing page builder. Using this theme will enable you to create and configure the basics of your landing page quickly, giving you a great foundation for expanding it with your own content. Remember that the goal for your landing page is to generate leads, so the main focus should be on encouraging users to sign up and give you their contact information. With that in mind, let’s get started! The first step is to download and install the OceanWP theme. You can do this by signing up on the OceanWP website, which will provide you with a download link for the latest version. You can then upload the theme to your WordPress site. Alternatively, you can simply find the theme in the WordPress Theme Directory and install it from your dashboard. Once you’ve installed the theme, make sure to activate it. At that point, you’ll see a new notice in your admin dashboard. This will inform you that the theme recommends that you install two additional plugins (Elementor and Ocean Extra). Elementor is a page builder you can use alongside the theme, and Ocean Extra is an extension to OceanWP that includes additional functionality. Click Begin Installing Plugins, and you’ll be taken to a new page where you can quickly add these plugins to your site. Select both plugins in the list, and use the Bulk Actions menu to select Install. When you click Apply, both recommended plugins will be downloaded, installed, and activated for you. With these extras successfully activated, your theme is ready to go. Now, it’s time to set up a template for your landing page. Your WordPress theme and plugins are ready to go, so the next step is to install your landing page template. 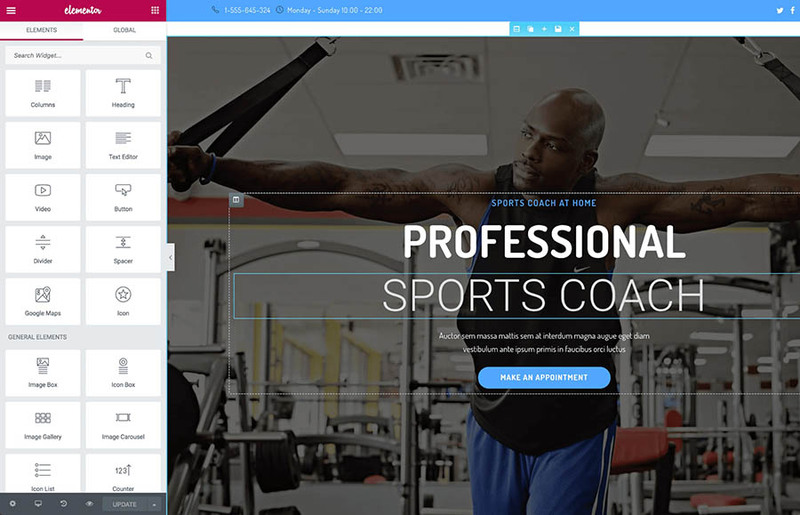 You can choose whatever template you like, although we’ll be using the Coach template for our example. To use the OceanWP templates, you’ll need to download and activate the free Ocean Demo Import extension. This is an extension specific to the OceanWP theme, but it works in the same way as a standard plugin. Simply download it from the plugin directory and then activate it. Depending on your real-world requirements, you might not need all these plugins, but we’ll be using them for this example. Simply select the Install Now button next to each required plugin to download and activate it. We’ll be installing this sample data, as we’re working from a clean WordPress install. However, you may not wish to do this if your site already has content that could be affected by adding dummy data. Either way, select the items you want to import and then click Install this demo. Obviously, this dummy content will need to be replaced. That’s where the landing page basics we discussed earlier come into play. It’s now time to apply what you’ve learned throughout this article to customize your landing page. We’ll be using Elementor for this purpose, as it’s recommended by the OceanWP theme. Next, you’ll want to select the Edit with Elementor option. This will open the page builder, enabling you to make direct changes to your landing page. At the moment, the structure of the page is largely in place. You can see how this template uses many of the concepts we discussed earlier. It introduces everything you need to know about the business in concise, effective ways. What’s more, it splits each element into clear, distinct sections, and uses a mix of text, images, and other content types to convey information. This makes the page look better, and also makes the information easier to absorb. However, this layout can use a little tweaking if you want to use your landing page to generate leads. The current layout already contains a contact form, but we want to place more emphasis on this feature. Let’s do that by editing the CTA button so that it takes users straight to the contact form. Scroll down to your contact form. You’ll need to add a menu anchor here, which is used to create links to specific areas of a page. Use the Elements menu on the left, and find the Menu Anchor element. Click and drag the element from the menu, and place it before the Keep in touch header above the contact form. Once the anchor is placed, you’ll need to name it. Enter “contact” in the left-hand menu, and then select Update to save your changes. Scroll back up to the Make an appointment button. You’ll now set this to take users straight to the contact form. Click the button, and start by changing the Text to “Get in touch!”. Then, set the Link to #contact. Next, select Update again to save your changes. You can now check out your page, and click on the button to make sure the link is working. This is just one basic example of how you can edit a starting template to suit your own needs. You can change just about every element by clicking on it and editing it to match your requirements. In addition, you can add and remove sections of the page as needed. Finally, you’ll, of course, want to replace images and other branding with your own content. While tweaking your landing page, remember the key elements we outlined earlier. Make sure that your page’s goal and purpose are clear, that you always make the benefits to the user obvious, and that the page follows a natural structure leading towards your CTA. Now that you know what goes into making a landing page, and have a template to customize, you should be able to create an amazing, lead-generating landing page in no time!